We recommend these books for kids and adults. 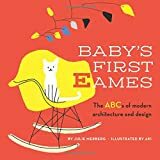 Baby’s First Eames: From Art Deco to Zaha Hadid A board book for parents who want their kids to be architects! 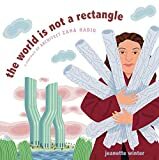 The World Is Not a Rectangle: A Portrait of Architect Zaha Hadid Zaha Hadid was probably the most famous female architect yet. This book could inspire girls to enter the profession and become great architects in the future. All the Buildings in New York: That I’ve Drawn So Far Illustrations of New York City buildings, not always famous, but always interesting with lots of details. See what we wrote about it. Who Built That? Skyscrapers: An Introduction to Skyscrapers and Their Architects Nice illustrations about various skyscrapers around the world – published in 2014 so it includes all of the newest and coolest buildings, with interesting facts about what makes these structures special. Lots of detail in the illustrations are cool too. Picturing Wright: An Album from Frank Lloyd Wright’s Photographer by Guerrero, Pedro E. (1993) Hardcover Not a kid’s book, but a book with dreamy photographs of the famous Frank Lloyd Wright and his projects. And photos were taken by his personal photographer so there are intimate stories by someone who knew Frank well. The Aspiring Architect: An Activity Book for Kids This is indeed an activity book – with pages to color, words to search and buildings to identify. It might be fun for a car ride or to distract a 7-10 year old while you are busy. In New York The New York Times wrote that this book makes New York seem “like a place you want to get lost in” focusing on buildings and fun facts. By the author, Marc Brown, who wrote the Arthur series. Round Buildings, Square Buildings, and Buildings that Wiggle Like a Fish (A Borzoi book) With 100 color photographs, this book introduces some basic ideas for observing architecture. There are images of Moorish baths and Grange Hall in Main, adobe churches and the Citicorp Center in New York City.Easy to read without too much text. Hundertwasser: Create Your Own City Hundertwasser has a magical creative sense. These stickers can be affixed to plain old cardboard and you can make a decorative city instantly. An Eames Primer: Revised Edition An Eames Primer: Revised Edition The Eames’s were significant designers in the 20th century, truly changing the way things were manufactured and designed. They designed spaces, their incredible studio, toys, films and other stuff too. This book is an introduction to them and their ideas, written by their grandson, whose first name is Eames. 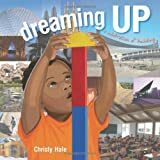 Dreaming Up: A Celebration of Building We like this book very much, The illustrations are paired up: there are kids playing with a variety of toys on the left page and a real building on the right page and they work together to illustrate the simple poems that are written with the images. And the back of the book has a listing of all of the real buildings with info on the architects who designed them too. Perfect Square This square starts out whole and immediately gets ripped into pieces and shot with holes. But it is able to pick up it’s pieces and make itself new and maybe even better. The City Out My Window: 63 Views on New York Written by an architect and writer, this author asked 63 people who live in New York, what they see out their windows, and the architect drew the view. 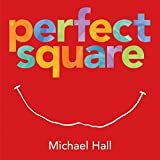 What results is a sweet book of people’s perspectives on what they see and how their view from their space effects them. The line drawings are wonderful and the folks who are interviewed are interesting people – artists and musicians and others too. Young Frank, Architect Young Frank, Architect A book about a young man who wants to be an architect and his Grandpa who is not so keen on it. But they travel to a museum in New York and learn more about architects. Hard Hat Area We like this book because it explains how a skyscraper is built, and it features a girl for a change. The collage illustrations are quite nice too. Unfortunately it is out of print, but you can find some used copies. Gaudi Pop-Ups As long as we are thinking of Barcelona and Antonio Gaudi, and if we cannot make it to the plane on time, let’s get a 3D look at his fantastic works in this pop-up book. Courtney Watson McCarthy is the author and a “paper engineer” – cool job, right? Building on Nature: The Life of Antoni Gaudi Read this if you have want an introduction to Gaudi, the famous Spanish architect who believed that all buildings should be soft and furry. For a younger child, it does instill the curiosity about this unique style so that you want to go right to Barcelona and witness it in person. 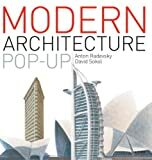 The Architecture Pop Up Book The Architecture Pop Up Book We love a pop-up book -and this one takes us from ancient structures to modern day buildings. A good overview. 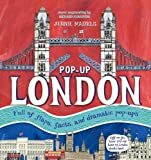 Pop-Up London For those of you with an interest in the architecture of London, voila! But keep away from young kids who tend to rip the pages up in any pop-up! The Three Little Pigs: An Architectural Tale The Three Little Pigs: An Architectural Tale Guess who these three pigs are? They are modeled on Phillip Johnson, Frank Gehry and Frank Lloyd Wright – Three Big-Time, famous American architects! Christopher Wren: The Avian Architect For kids around 3rd-5th grade, this story is about a bird trying to build the best birdhouse ever. Need A House? Call Ms. Mouse Great detailed illustrations with a female architect as the hero. That is sort of unusual in itself! Little Bets: How Breakthrough Ideas Emerge from Small Discoveries Little Bets: How Breakthrough Ideas Emerge from Small Discoveries This book is pretty sophisticated for kids, but it does have some interesting stories about how to tackle problems by creating smaller issues to solve and then working the whole thing out bit by bit. There are some good tidbits about Frank Gehry and his solutions to designing complex structures. Origami Architecture: Papercraft Models of the World’s Most Famous Buildings [Full-Color Book & Instructional DVD] Make your own buildings out of paper using the great photo lessons in the book, as well as the patterns from the CD. Intricate and delicate, this is geared for any child who can master an arts knife, like an exacto. We recommend this for folks who like to do detailed work.By Yee. The Outcasts of 19 Schuyler Place E.L. Konigsburg wrote “From the Mixed-up Files of Mrs. Basil E. Frankweiler“, which was one of our favorite books as kids. I think that this book is wonderful too because of the main character, a girl who has a lot of fight in her – a girl willing to stand up for what she believes in – and it happens to be an architectural structure. A Visual Dictionary of Architecture By Frank Ching. Him again? The illustrations in this book are pretty great. It would be fun to look through and start a conversation with a child based on these drawings and ideas. They can trace things from it, you can blow up some of the illustrations and color them in, you can try to use the illustrations to find examples in your neighborhood. Becoming an Architect: A Guide to Careers in Design Becoming an Architect: A Guide to Careers in Design This is an interesting resource for someone who thinks that being an architect would be the greatest thing to do. There are interviews with real live architects and we get to find out why someone might have become an architect and what kinds of challenges he or she faces. It feels like you are conversing with real live architects – and that is so great. Buildings without Architects: A Global Guide to Everyday Architecture If you ever want to know about an Indlu or a Ger, or if you have been thinking that you would like to build a house of reeds, like many other people do in the world – this book is a great resource. It has drawings of tons of different kinds of buildings, with illustrations showing the process for building and also a list of materials that are used. Get to it and you can build right away! Perhaps this author thought that 13 was a lucky number! For kids around 10 years old, this book has some activities and stuff to do, besides read, and that might be interesting for some of you, younguns. to talk over the ideas with him. A Pattern Language: Towns, Buildings, Construction (Center for Environmental Structure) A Pattern Language: Towns, Buildings, Construction By Christopher Alexander, Sara Ishikawa,and Murray Silverstein, this fasciniating book – it is not a story book but a unique book that works almost like a workbook for various design issues and solutions – it is for older kids or adults and so very interesting we could not resist listing it here! The ABC Book of American Homes The ABC Book of American Homes By Michael Shoulders is a book we like because it helps kids to see that people live in ALL kinds of houses, not just the ones that they are used to seeing around their own neighborhoods. Old Penn Station By William Low, this book is a great close-up of a place. This old train station in New York City has been torn down, but it is a great memory book about how that place made people feel. Maybe it will make you fight for preservation of our historic buildings!! great buildings to focus on. Those Building Men Those Building Men By Angela Johnson, Those Building Men is a poetic book that reflects back on all of the men (not women, we are afraid!) who built our buildings, bridges and other structures. It makes you think a bit more abstractly on this concrete subject. Brooklyn Bridge Brooklyn Bridge This book by Lynn Curlee, offers a deeper understanding of the construction of this famous American structure in New York. Frank O. Gehry: Outside In Frank O. Gehry: Outside In By DK Publishing, is a good introduction to this way out architect! He is a filled with wild ideas and maybe you could learn enough to explain his work to your more conservative friends! That’s How We Build A House This is a cool video that teaches real terms about construction and building from blueprinst to construction site to the final finished house. Only 28 minutes, it would work well in a classroom or workshop. and shapes to alter the built environment in INCREDIBLE ways. It is an incredible book to peruse over and over to give you great ideas for projects to do outside. The Man Who Walked Between the Towers The Man Who Walked Between the Towers “The Man Who Walked Between the Towers”, by Mordecai GersteinWe love this book because the Frenchman is so unbelievable in it and it is a beautiful memory for the World Trade Center. The Timeless Way of Building The Timeless Way of Building This is one of our favorite architecture “idea” books. It is costly and sort of mature, but it is the kind of book you can keep your whole life, and just pick it up to think about the built environment in different ways. It is a sort of philosophy that is very good for stretching your brain. It is not directly for young kids, but it can beread and interpreted for them…we know they are smart and wll understand it. Under Every Roof: A Kid’s Style and Field Guide to the Architecture of American Houses Under Every Roof: A Kid’s Style and Field Guide to the Architecture of American Houses This is a decent book about American architecture, also known as domestic architecture. I think we would recommend other books before this one, but it might be worth a gander. Houses and Homes (Around the World Series) This is a beautiful photographic book about houses around the world, with a multicultural twist. It is a lovely book to look through, without too much text. 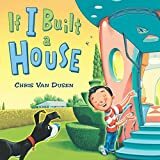 Housebuilding for Children: Step-by-Step Plans for Houses Children Can Build Themselves Photos and drawings to help kids and adults to build their own structures. It is a great book for this kind of hands-on activity. Draw 50 Buildings and Other Structures: The Step-by-Step Way to Draw Just as the name implies, you can get a start on learning how to draw some famous buildings in a quick and clear step by step manner that makes it seem so easy. Great for impressing your friends and relatives! The House on Maple Street The House on Maple Street An interesting idea that covers 300 years at the same spot, from a forest through a house. The Hidden House About three dolls living in a cottage, with beautiful illustrations. Sweet and lovely. Why Buildings Stand Up: The Strength of Architecture “Why Buildings Stand Up” by Mario Salvadori is notorious in the land as one of the main architecture books for kids. There is even a Salvadori Center in New York for kids to study this stuff. Frank Lloyd Wright for Kids: His Life and Ideas, 21 Activites (For Kids series) Frank Lloyd Wright for Kids: His Life and Ideas, 21 Activites (For Kids series) Just like it sounds, this book is an introduction to Frank Lloyd Wright. It is good and we like it. Fun Projects for You and the Kids: David Stiles You might find some interesting things to build, like a raft or a spaceship, but why is it relevant here? Because you can also build lots of structures, including teepees and castles and houses too. Unbuilding (Sandpiper) A David McCauley book with meticulous illustrations and details, this is always fun to look at. With some more information, this would be the base for the whole world explained. There Goes the Neighborhood: 10 Buildings People Loved to Hate Susan Goldman Rubin wrote this book which has a subtitle of “!0 Buildings that People Love to Hate.” For kids aged 8-12, it is a cool book of stories that are sort of behind the scene and make for good storytelling. Building Big Another David Macaulay book, but we like this one better. It seems to explain things in a thorough way about why decisions are made when buildings are planned and built. How to Build Treehouses, Huts and Forts Treehouses, here, there and everywhere. This is an excellent how-to book for building all kinds of treehouses. Sod Houses on the Great Plains Everything a young child needs to know about sod houses, but was afraid to ask or did not know how to ask. Or know to ask what a sod house is. Building a House (Mulberry Books) Byron Barton writes books for the younger set – starting at around 4 year olds. This one is about how buildings get built – obvious, we guess. But it is solid and a good foundation for any kid. Up Goes the Skyscraper . Up Goes the Skyscraper by Gail Gibbons is another great book that teaches kids about how a structure is made, with enough nuggets of interest to make it a good read and not a yawner. How Big Is a Foot? (Young Yearling Book) How Big Is a Foot? How Big is a Foot? by Rolf Myller is about measurement and thus related to architecture and the skills needed to build. We thought it was a clever way to teach young kids about measuring. Architectural Graphics A book that illustrates and defines what you need to know to make architectural drawings. Interesting as a talking point to start a conversation with students.